Summary of Work: Purpose/Use – Our work helped the client obtain a model of an eleven- floor building to support a renovation plan. 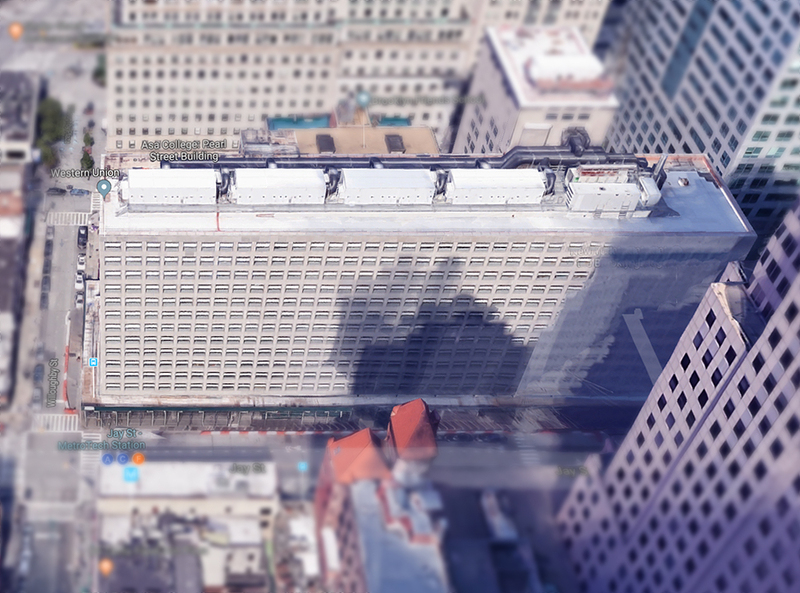 DPK scanned 7 designated floors of an 11-story building – approximately 250,000 sq. ft. 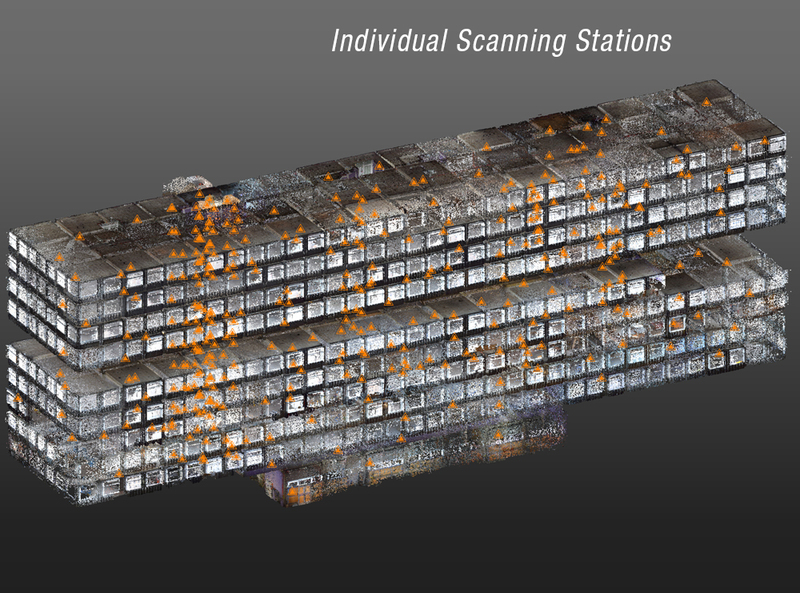 The scanned data was processed utilizing 3D software to form a unified point cloud. 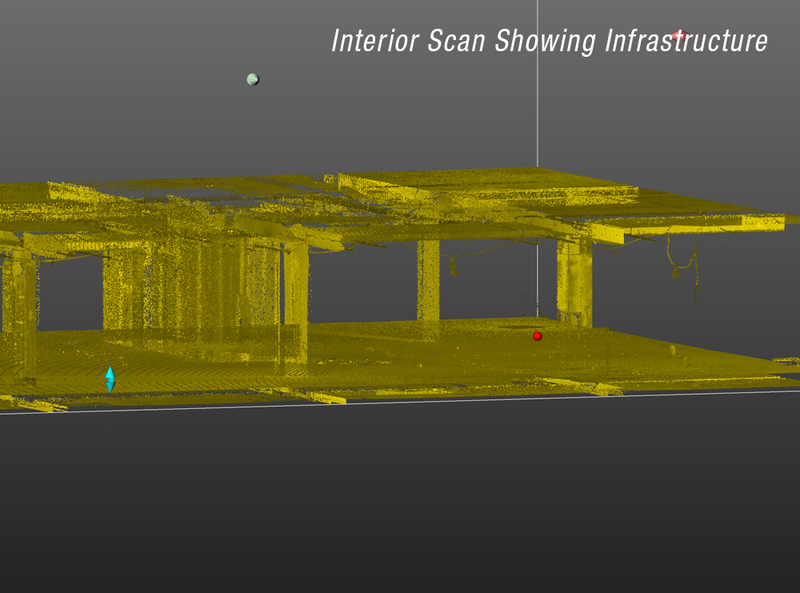 The client required an aggressive schedule which DPK maintained due to the speed and efficiency of 3D Scanning. Individual scanning station set-ups were utilized throughout the building (click through images above for the slide featuring orange triangles. These triangles illustrate where each scan station was positioned). All field data was downloaded and processed at DPK. The data was cleared of extraneous elements, such as minor obstructions, and registered into a point cloud. DPK proposed an Autocad modelled deliverable of the interior of the building that consisted of walls, floors, ceilings, visible structures, windows, doorways and stairways. Additionally, major features such as ductwork, utility lines, etc., were also offered. 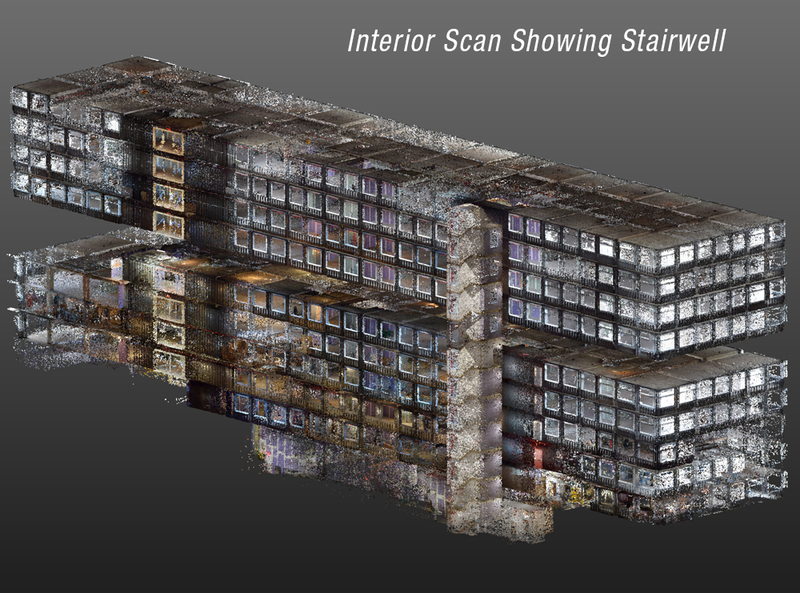 Deliverables: A comprehensive point cloud compatible with Autodesk Recap software.